NEW QUAIL WEST LISTING BY LEVITAN REALTY! 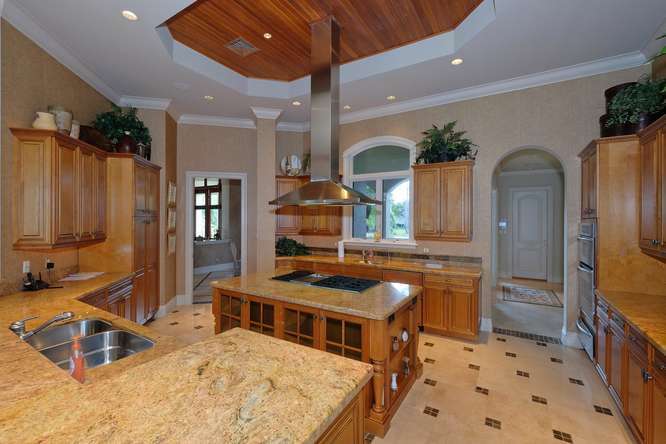 Levitan Realty > Blog > Uncategorized > NEW QUAIL WEST LISTING BY LEVITAN REALTY! 5931 Burnham Road – JUST LISTED! Perfectly located near the clubhouse in Quail West and looking over the 1st hole of the Preserve Course, this former McGarvey model home is being sold FURNISHED and INCLUDES a Full Golf Membership to Quail West Golf and Country Club! A delightful enclosed gazebo-style sun room that is perfect to enjoy evening sunsets is a perfect addition to this spacious 5-Bedroom+Den home. Superb detailing and intricate craftsmanship can be found throughout this residence with marble flooring in the main areas and carpet and tile in the bedrooms and baths. Upgrades include extensive crown molding, plantation shutters, granite countertops, impressive cabinetry, ceiling details, custom built-ins and much more. Hurricane protection is provided with impact windows and doors and electric shutter on the large front door. Many appliances have been replaced including the kitchen refrigerator, dishwasher, washer/dryer, U-line refrigerator drawers and air conditioners.